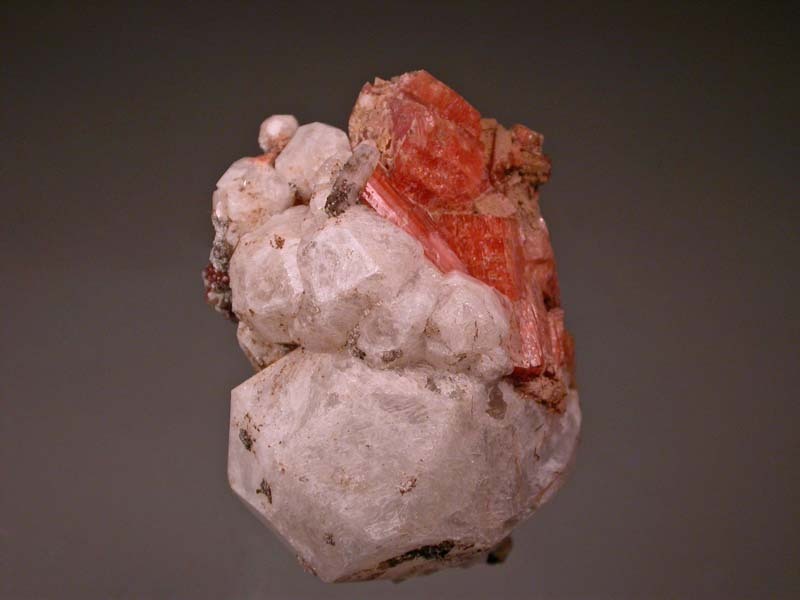 A nice looking specimen of several serandite crystals, mostly incomplete atop a cluster of white analcime crystals. 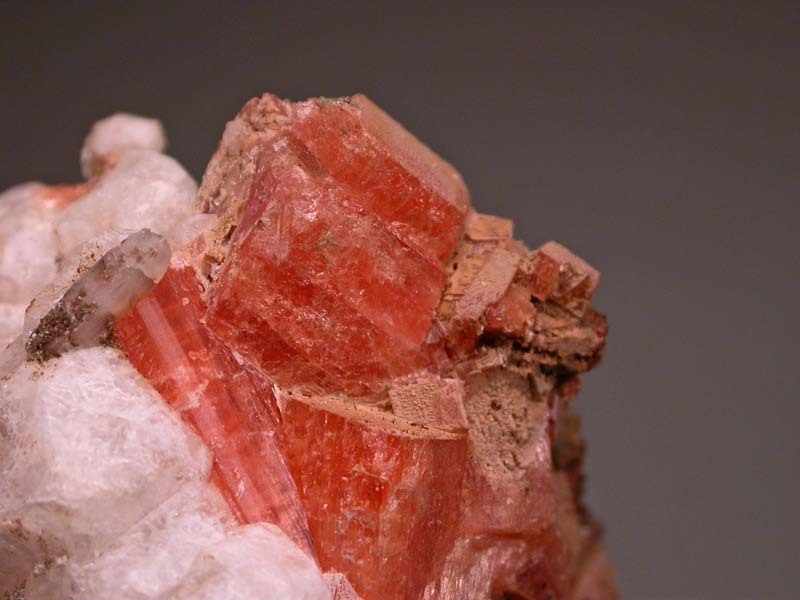 As mentioned the serandite crystals are mostly incomplete, except for one. 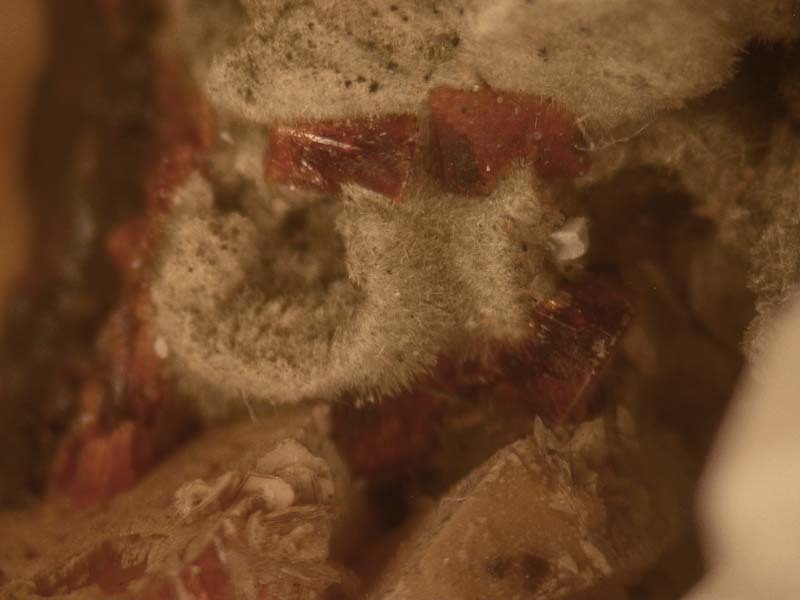 There are a number of nice manganeptunite crystals (like in the micro-photo) on the lower reaches of the specimen, as well.